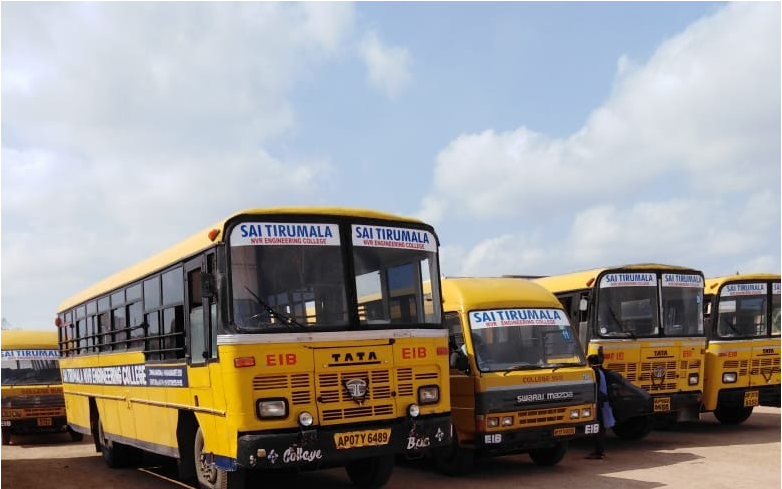 Transport facility is provided to have access to and from major centres like Vinukonda, Sathenapalli,Chilakaluripet,Guntur,Piduguralla,pathepuram,Martur,Karempudi,Phirangipuram,Addanki, to college campus. At present, there are 34 buses plying on different routes to help students and staff to reach the college. The students and staff can use the college bus facility by purchasing bus passes from college office for a minimum of 6 months. Routes will be added and Service is subjected to change.Students may contact the Transport Incharge (Student Welfare) for further details. Narasaraopet – 500 043 Andra Pradesh, India.